'Guantanamo North': Inside Secretive U.S. Prisons Reports about what life is like inside the military prison for terrorism suspects at Guantanamo Bay are not uncommon. But very little is reported about two units for convicted terrorists and other inmates who get 24-hour surveillance, right here in the U.S.
Reports about what life is like inside the military prison for terrorism suspects at Guantanamo Bay are not uncommon. But very little is reported about two secretive units for convicted terrorists and other inmates who get 24-hour surveillance, right here in the U.S.
For the first time, an NPR investigation has identified 86 of the more than 100 men who have lived in the special units that some people are calling "Guantanamo North." The Communications Management Units in Terre Haute, Ind., and Marion, Ill., are mostly filled with Muslims. About two-thirds of the inmates identified by NPR are U.S. citizens. Avon Twitty spent several years in the Communications Management Unit in Terre Haute, Ind. 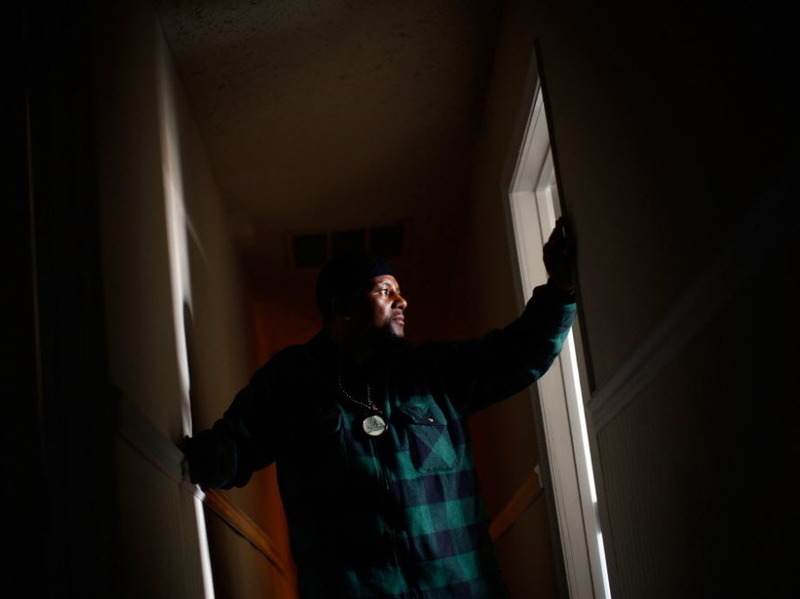 He was recently released and is part of a lawsuit challenging the legality of the special prison units. But prison officials sent him to one of the special units in Terre Haute to finish out the remaining few years of his sentence. Twitty says he never found out why. He has a piece of paper saying he allegedly took part in "radicalizing" people, but the transfer document doesn't explain who, or why. Twitty reads from one of the many letters he wrote to prison leaders, asking for answers. "So my question was, what government agency labeled me a terrorist?" Twitty asks. "... What terrorist offense did I commit against the American government or any American citizen? What evidence demonstrated my guilt? Why was I not afforded my constitutional right to a due process hearing?" The special unit in Terre Haute contains 50 cells housing some of the people the U.S. describes as the country's biggest security threats, including John Walker Lindh. The units' population has included men convicted in well-known post-Sept. 11 cases, as well as defendants from the 1993 World Trade Center bombing, the 1999 "millennium" plot to bomb the Los Angeles airport, and hijacking cases in 1976, 1985 and 1996. The group included tax resisters, a member of the Japanese Red Army and inmates from Colombia and Mexico. Inmates say the guards there called them "balancers." "We were concerned about what appears to be racial profiling and also a pattern of designations to the CMUs of people who have spoken out at other prison units and advocated for their rights and have taken leadership positions in religious communities in those other prisons," he says. American University law professor Stephen Vladeck reviewed NPR's findings. He says he has some questions about the secrecy surrounding the units and whether the prison is sending the right people there. "I think the real question is, what are the constraints and how are we sure that the right people are being placed in these units and not the wrong ones?" Vladeck says. "Mixing prisoners from different backgrounds who actually don't necessarily live up to those criteria I think is troubling," Vladeck adds, because it means some inmates might not belong there, and others who do belong may not be getting the attention they deserve. NPR found two reports, marked "law enforcement sensitive," from 2009. In them, intelligence analysts for the Bureau of Prisons describe religious tension among different Muslim groups in the special units, including at least one violent episode involving a man described as an enforcer. In those units, people convicted of international terrorism mingle with more conventional criminals. So Omar Mohammed Ali Rezaq, who hijacked an EgyptAir flight with other members of a Palestinian terrorist group in 1985, lives in the CMU along with Muslims who were convicted in U.S. government sting operations but who didn't have the resources to carry out a plot on their own. 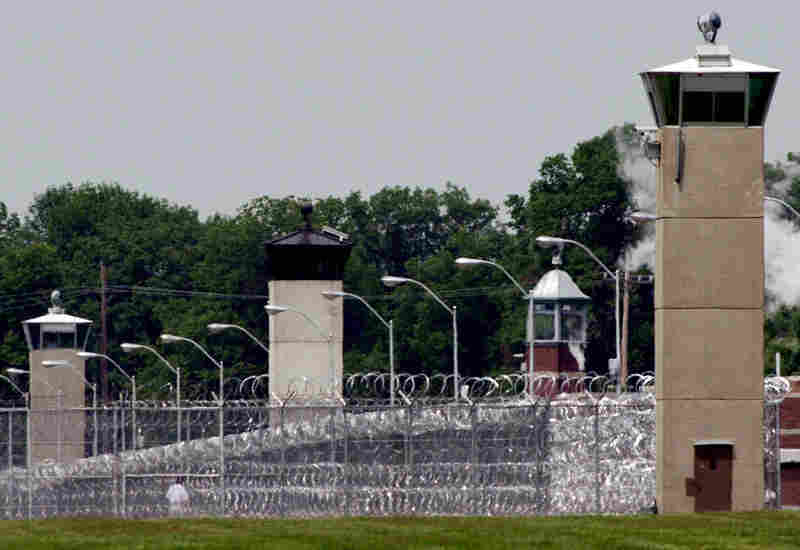 Guards and cameras watch the CMU inmates' every move. Every word they speak is picked up by a counterterrorism team that eavesdrops from West Virginia. Prison officials budgeted more than $14 million for the snooping operation last year, according to appropriations documents and congressional testimony. Hedaya Jayyousi's husband, Kifah, served in the U.S. Navy. He also taught engineering. 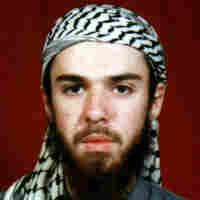 Then he was convicted of supporting groups in Bosnia and Chechnya that the U.S. government says are tied to terrorism. Kifah Jayyousi has lived in both CMUs. "What happens is we really get very stressful because the way the visit [is] set," Hedaya Jayyousi says, "we need to hold the phone in our hands, very thick glasses. You can't hear him. [The girls] can't touch him." Twitty says he actually spent months longer in prison than he had to because of his designation to the special CMU unit. The halfway house in Washington wouldn't accept him for several months. 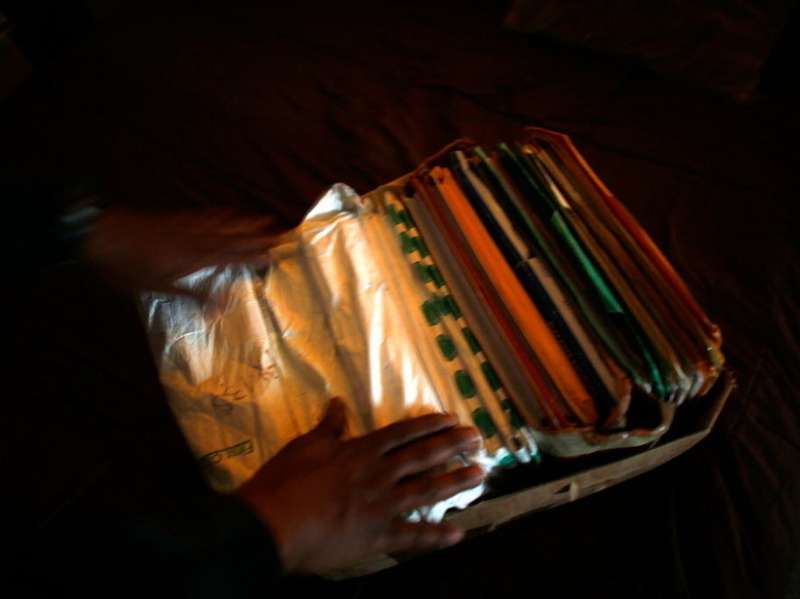 Avon Twitty's file folders contain his paper trail of grievances over the years while inside the Communications Management Unit at Terre Haute. "There is a tenfold over-representation of Muslim prisoners at the CMUs," he says. 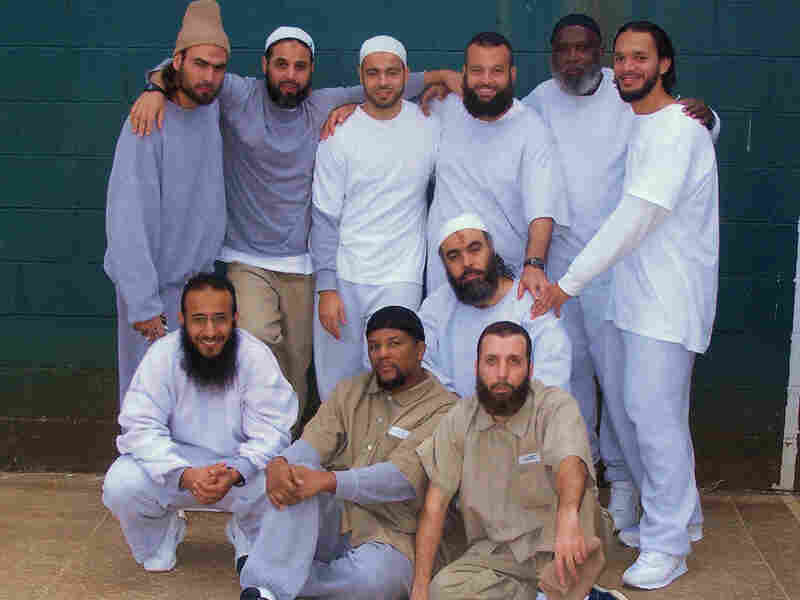 "So 6 percent of the national prison population is Muslim, and somewhere in the neighborhood of between 66 and 72 percent of prisoners at the CMUs are Muslim." "You've got a second tier where we don't have to have them as restricted, but we want to control their communications," Lappin told members of the U.S. House of Representatives. "They are housed in Communications Management Units where we can target, again, communication, both written and verbal, and oversee visits more adequately than in our general population facilities." He says Muslim inmates are allowed to do all kinds of things together, except pray. That, he says, is breaking a law known as the Religious Freedom Restoration Act. The law requires the federal government to follow the least burdensome approach when it comes to peoples' religious faith and practice. "The problem from our perspective in the CMU is that the prisoners are out anyway and they're allowed to engage in all sorts of activity, and they're not allowed to engage in group prayer," Falk says. "In fact, prisoners have been punished when two prisoners have gone back to their cells together to pray." Ed Ross, a spokesman for the Bureau of Prisons, didn't want to comment on the court cases. He says the special units help make sure inmates are monitored at all times. The units are designed for people convicted of terrorism, prisoners who have dealt drugs or tried to recruit or radicalize others behind bars; and prisoners who have abused their communications privileges by harassing victims, judges and prosecutors, Ross says.